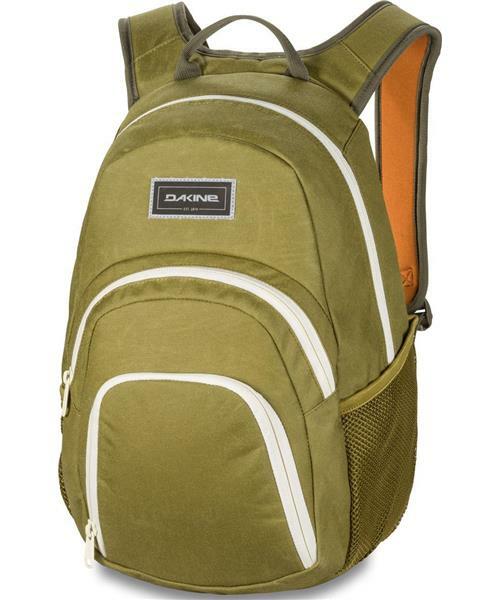 The Dakine Campus Mini offers features of the Campus pack scaled down to the elementary basics in a grom-friendly size. This 18L (1,100 cubic inch) kids' backpack features a roomy main compartment with additional storage in the dual zippered front compartments, including the front cooler pocket for snacks and drinks. The Campus Mini features safety reflective details as well as a sternum strap to balance the load.